Chelsea are set to land yet another young Belgian star after agreeing a deal to sign Anderlecht youth team player Charly Musonda jr. The 15-year-old was also a target for Manchester City and Arsenal, but his family have decided there will be better opportunities for him at Stamford Bridge. As part of the deal, the Blues have signed his older brothers Tika, 18, and Belgium Under-21 international Lamisha, 20. 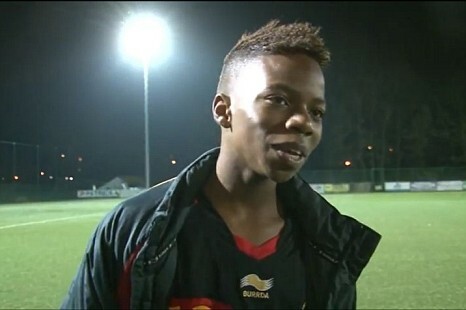 Charly Musonda Jr is son of former Zambian midfieder supremo Charles Musonda. Anderlecht’s general manager Herman Van Holsbeeck confirmed terms for the Musonda brothers’ move had been negotiated and that Chelsea have agreed to pay ‘substantial financial compensation’. ‘I wish to thank the management of Chelsea for their correct and generous attitude in this matter,’ he said. The Blues have already brought in Eden Hazard in a £32million transfer from Lille to supplement their Belgian contingent.